Chiropractic laser therapy is used to manage pain and other symptoms associated with acute injuries and chronic pain such as neuropathy. We utilize the latest in technology with the BioVeda system. 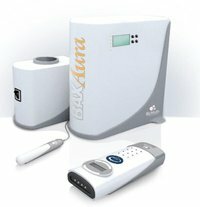 This system not only treats pain but is successful in treating the symptoms of allergies and other conditions through its capabilities of acupoint stimulation with energetic information induction. Through our unique understanding of how environmental substances can impact and influence normal bodily function, we are able to help provide assessment, therapy and supplemental support to dramatically improve overall patient health and wellness. BioVeda Technologies incorporates techniques and principles of chiropractic care, homeopathy, naturopathy and nutrition into our technology and complementary products. Our goal is to remove interference from the body, allowing it to heal itself. Our technology is used to reduce physiological stress on the nervous system caused by inappropriate reactions to specific environmental substances and subsequently strengthen the immune system. We have helped hundreds of people in Central Ohio, why not you? BioVeda Health and Wellness Centers offer state of the art holistic and complementary alternative health care. Our practitioners utilize multiple holistic health disciplines to provide a comprehensive care plan for each of their patients based on assessment and need. Our Columbus Ohio BioVeda Health and Wellness Center offers services. We also offer the following services that include consultation on diet, nutrition, weight loss, body balancing, smoking cessation, and anti-aging techniques. In general, a first appointment with the consultation and evaluation will take 45 minutes to one hour. Follow up appointments and generally 15-20 minutes if necessary. Call 614-436-3870 in the Columbus Ohio area to make your appointment for a consultation with a doctor to see if we might help you!